I am a photographic artist. I make photographs with light sensitive materials and chemistry. I am inspired by nature, road trips and how our history forms our present. I like to garden, read and kayak on Lake Ouachita in Hot Springs, Arkansas. I love cooking for family and friends. Nothing makes me happier than spending time with my daughter. 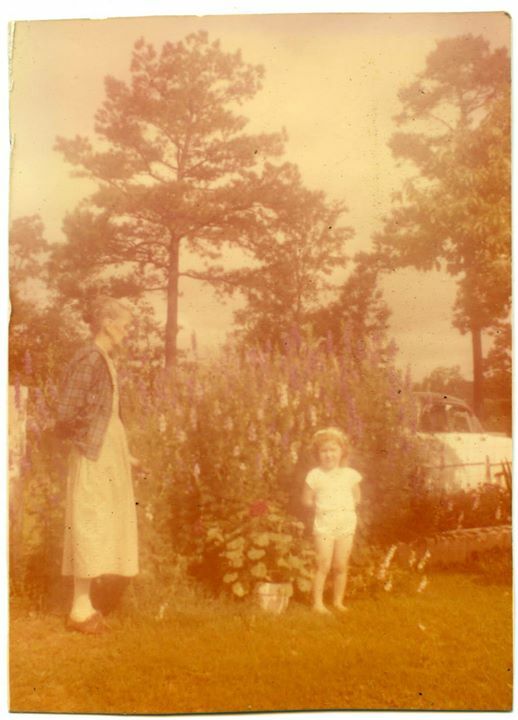 In the garden with Grandma, circa 1957.